Buying an alternative gift is an effective way to make a difference.In return you will receive a certificate and see the real impact your support makes in helping boys with nothing develop into happy independent beings. Pay through Paypal or use our donation button (so you can gift-aid it) and e-mail contact@ubakaurwanda.org.uk so that we can sent you a personalised gift certificate. Provide food for 35 street children for a week! 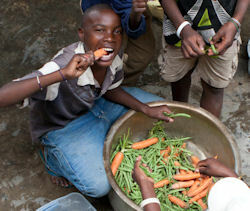 Rwanda is one of the countries where daily food is not to be taken for granted. Especially whilst growing up a nutritious and varied diet is important to prevent illnesses and give the boys the strength to educate them for a better future. The boys need new mattresses for their new beds! 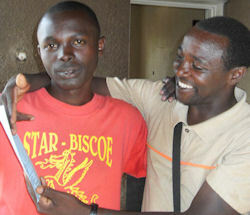 Ubaka secured for new beds at the Ubaka U Rwanda centre. However the donation does not extend to new mattresses so the boys have to reuse the old ones. 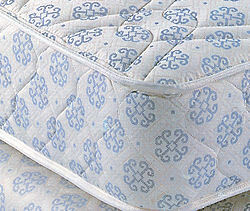 A new mattress; will provide not only a good night’s sleep; but may prevent back and other health problems in the future. In a country such as Rwanda education is highly valued. This gift will pay for a boy’s school fees for a year; books and school uniform. The school provides the boys with a sense of routine, discipline and teaches them social skills, which have been neglected when living on the street. Most importantly it provides them to a chance for a brighter future.